Round toe tops 0.5" platform. "Simple" is made in Italy. 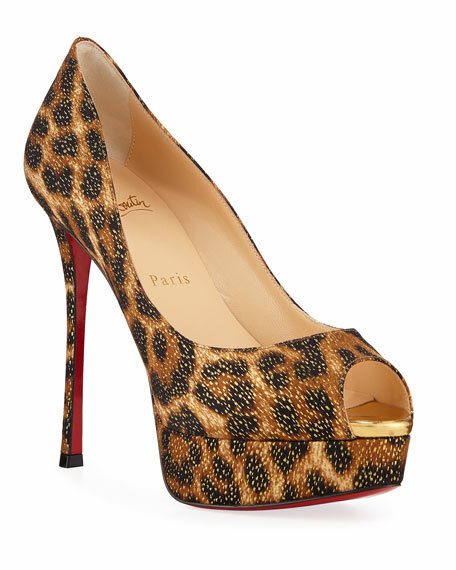 Christian Louboutin leopard-print crepe satin pumps with metallic accents. 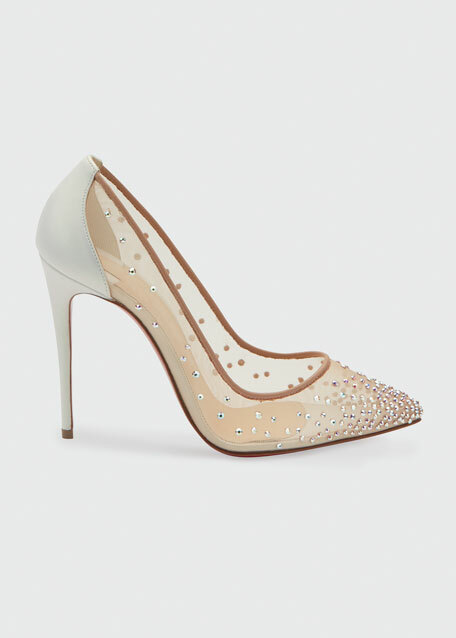 5.3" covered stiletto heel with contoured platform. Peep toe. Slip-on style. Signature red leather outsole. "Fetish" is made in Italy. 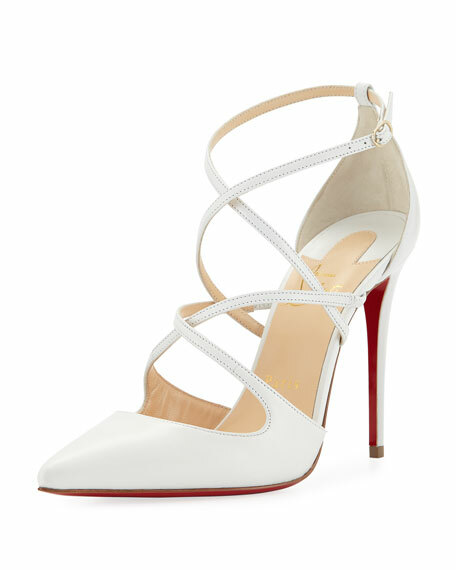 Christian Louboutin signature "Follies" pump in sheer mesh with gradient-set crystals, finished with suede trim. 2.8" covered heel. Pointed toe; low-cut vamp. Signature red leather sole. Made in Italy.